Taking one of the top spots on most people’s bucket lists, Sri Lanka has earned the nickname of ‘the pearl of the Indian ocean’ for a reason. Famous for its breathtaking tropical beaches, soaring mountains and ancient Buddhist monuments, Sri Lanka really is paradise. However, working out how to arrange postage to Sri Lanka can be a difficult task. At DPD Local Online, we’re experts in international courier delivery. And, as we’re trusted by millions of senders across the world, you can be certain your parcel delivery to Sri Lanka is in safe hands. 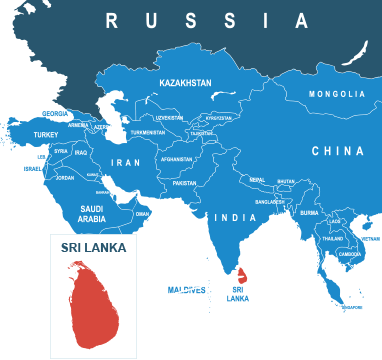 We can offer you fast and affordable courier delivery to help you get your parcel to Sri Lanka on-time and within budget wherever you’re sending a parcel to on the island. And, with our easy-to-use online form, you can get an instant quote for your postage to Sri Lanka, as well as make your booking. So, if you’re looking for cheap parcel delivery, look no further than DPD Local Online to take care of your parcel delivery to Sri Lanka.